All the nominations are assessed by the jury, and the finalists in the BEST E-FACILITATOR category go for the online voting. The winner will be defined based on the jury scores and public votes combined. 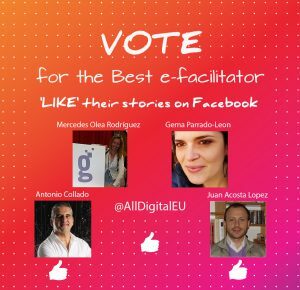 Read the stories of our e-facilitators and vote for (‘like’) the ones that you like best before 16 September on our Facebook page.